This is a cute story! I chuckled all the way through it. It’s meant for a little older crowd, about 6 or so. There’s lots of humor throughout the story. I feel because of the humor, your child would need to know the bible story of the birth of Jesus to fully get the humor. I love the little boy’s humor in this book, I feel he captures how many of us feel time to time about Sunday school. 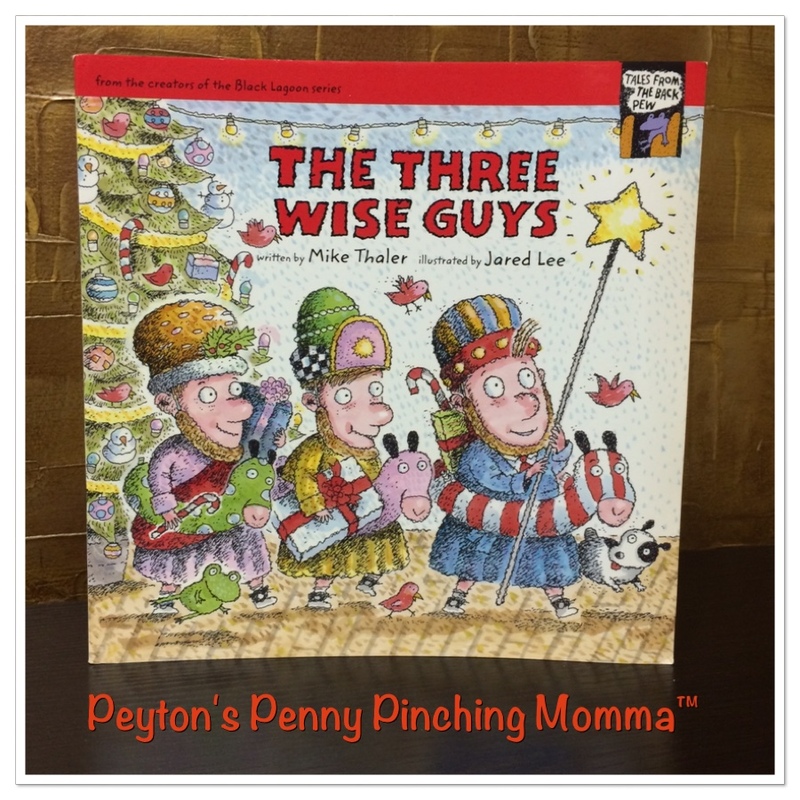 The Three Wise Guys tells a story about a Sunday school class putting on a play about the birth of Jesus. But it tells it from the child’s perspective, a child that does not really want to be a part of it all. It’s not that the kid is against religion or anything like that. He’s just a typical kid and finds that sometimes church can be a tad boring to him. I can completely relate! When I was a kid spending time in Sunday school was not always at the top of my list. So I can understand how a child would rather be outside playing than inside a classroom acting out the birth of Jesus. There are so many comical scenes in this book I just have to share a few of my favorites. I love the opening – when he’s asked if he would like to be on stage. His response was “yes – the first stage out of town.” That was our first chuckle. They poke fun at King Herod and his crazy hair. And how is so obsessed with being the only King that he won’t even let a Burger King in town. (Though I’m pretty sure there was no Burger King back then) They even poke fun of the children acting in the play, like how Mary is holding a Cabbage Patch doll. I found this book to be full of laughable moments. Sometimes a good laugh is better for you and your child will take it in a little more if they are having fun. You can purchase your own copy of The Three Wise Guys on Amazon.